The SCVAA soccer program accommodates approximately 1,350 children using volunteers' efforts. It is important to view the process and policy for team selection in this context. Please be aware that there is no buddy system and the SVAA board does not switch players among teams so that neighbors or friends might be on the same team. We will consider requests to be with a neighbor or friend made during registration and make our best faith effort to accommodate requests as long as we can meet other constraints in support of balanced, even teams within a division. The process of creating teams and leagues is stated below; please review and make specific requests during the registration process. Teams are formed with the goal of assigning players to a team at or near the school indicated during registration while balancing the numbers of players at each grade level across all teams. An imbalance of coaches and players at a particular school, the pairing of players with coaching parents and siblings, late registrations and cancellations, among other factors, play a role in team assignment. The process is based on the principle that each player averages three quarter's of play per game against teams of similar grade distributions. The number of players in an area is divided by the ideal team size. Ideal team size varies from 10 (KG/1st, 2nd/3rd) to 12 (4th/5th) to 15 (6th-8th). Volunteer Head coaches and Assistant coaches are first identified and combined on teams. If there is a shortage of volunteer Head coaches, a few Assistant coaches will be assigned a team as co-coaches. Children of coaches and assistant coaches are placed on their parent's team. Remaining openings within a team are filled with children such that grade distribution is close to even, accommodating requests as possible. Excess players from one area may be combined with excess players from another area to make an even team. Note: Team building begins approximately July 1, at the end of regular registration period. Registrations made during the late registration period should not expect requests to be accommodated. Please do NOT email us to "check" whether space is available on a team prior to regular or late registration. 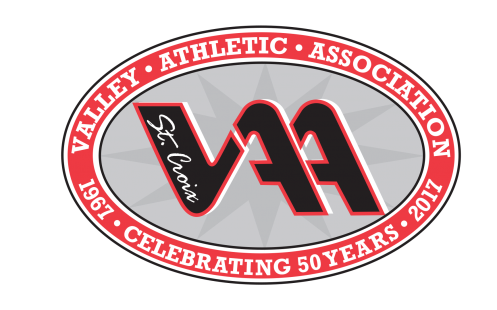 The SCVAA will partially refund a registration fee up to the date of the Coaches' Meeting, or a specified alternative date where no Coaches' Meeting is held, for the sport season in question. In order for the refund request to be accepted, it must be postmarked on or before that date. However, a service fee of 25% or $20, whichever is less, will be assessed on all refund requests to help cover capital and operational expenses (uniforms, equipment, field rental, officials, etc.) which have been incurred by the time of the Coaches' Meeting. Absolutely no refunds will be authorized that are postmarked after the date of the Coaches' Meeting.